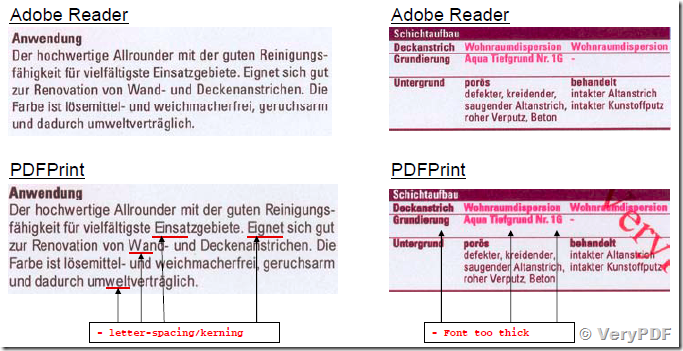 We are currently evaluating your product VeryPDF PDFPrint (Free Trial) and ran into some issues regarding print quality. 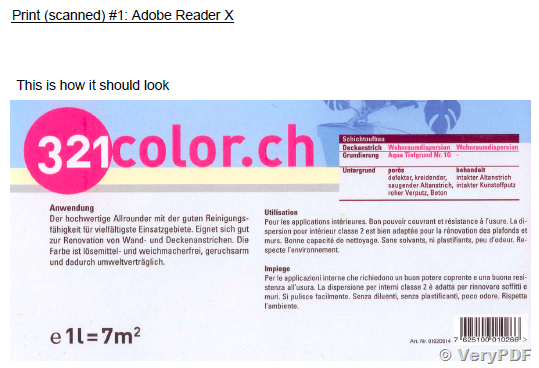 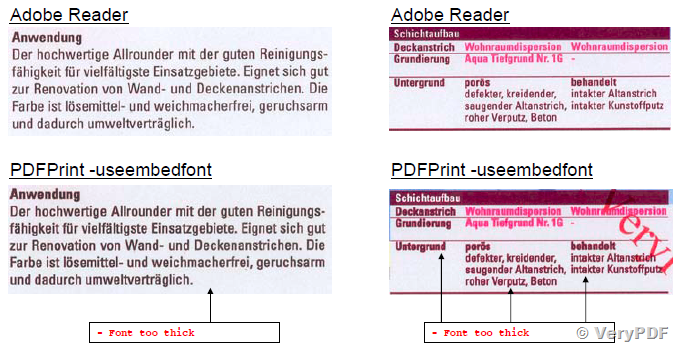 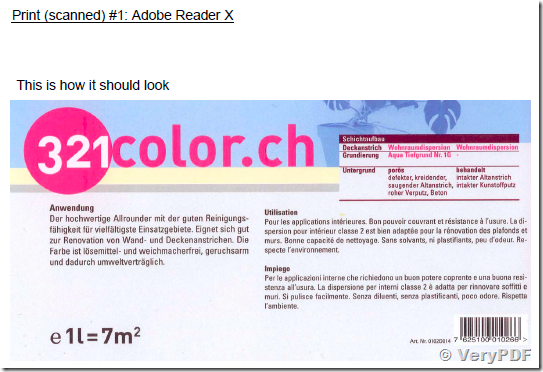 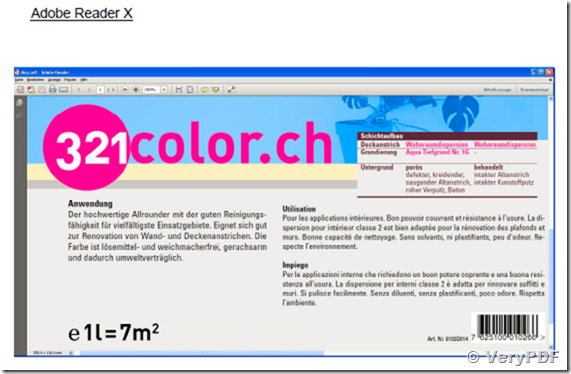 Our PDFs print fine through Adobe Reader but when using PDFPrint the fonts and (in some cases) colors and size change. 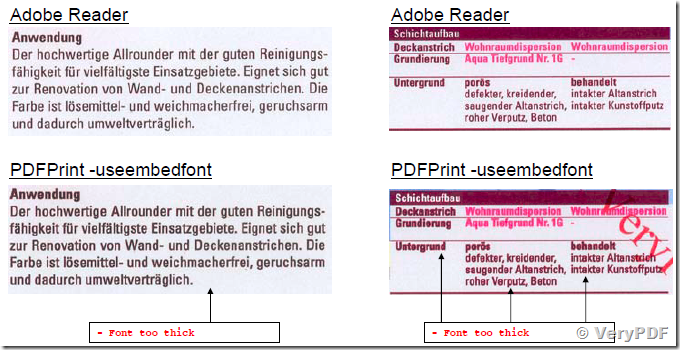 We have tried various options of which none solved the problem. 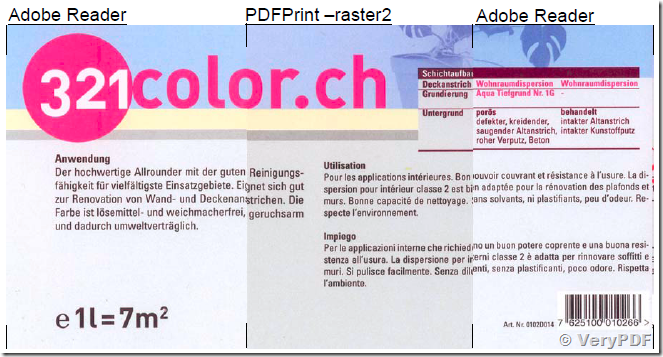 Attached is a compilation of scanned prints. 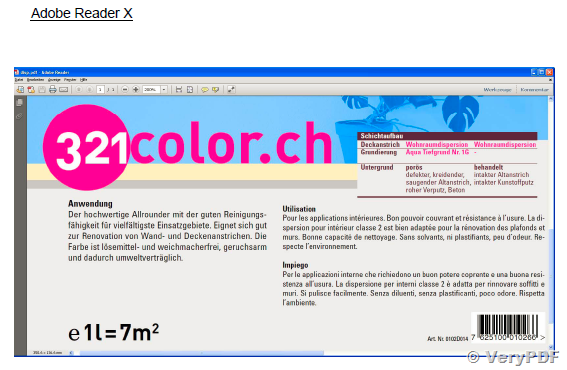 The critical differences are highlighted with a short description. 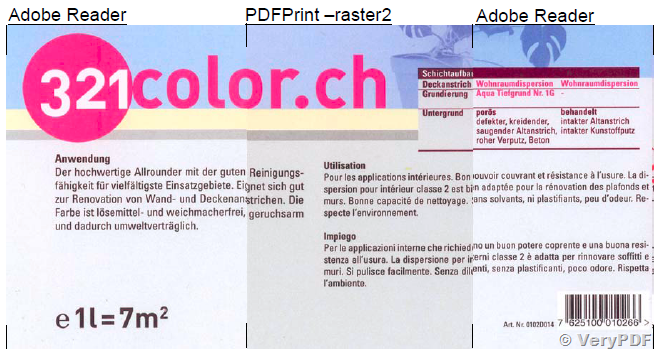 Also I have attached the sample PDF file we used for the tests. 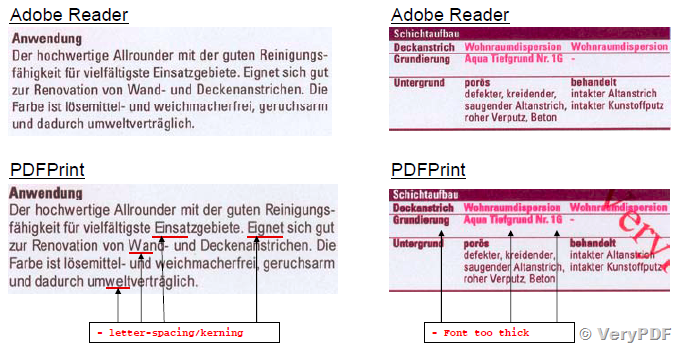 Thanks for your detailed comparison report, your report is very useful for us to improve our PDFPrint Command Line software, we will try to improve the issues that you mentioned in the next version of pdfprint.exe application, we will let you know when new version is ready, thanks for your patience.